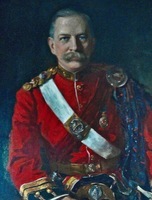 FLAVELLE, Sir JOSEPH WESLEY, businessman, philanthropist, and public servant; b. 15 Feb. 1858 in Peterborough, Upper Canada, son of John Flavelle and Dorothea Dundas; m. 20 Sept. 1882 Clara L. Ellsworth in Ashburnham (Peterborough), and they had a son and three daughters, one of whom died in infancy; d. 4 March 1939 in Palm Beach, Fla. In 1847 John Flavelle, a shop clerk of Huguenot descent in Cootehill, County Cavan (Republic of Ireland), married Dorothea Dundas, daughter of a moderately prosperous Scots-Irish family. The young couple decided to forsake famine-ridden Ireland and emigrate to America “to seek their fortune in the land of promise.” They settled in Peterborough and had five children, of whom Joseph Wesley Flavelle was the youngest. Flavelle’s ardent Methodist perfectionism expressed itself commercially not only in a commitment to hard, earnest work, but also in a passion for careful accounting and a willingness to defer gratification for the sake of future benefits. His business prospered, and by the early 1880s he was an established Peterborough citizen, Sunday school superintendent at George Street Methodist Church, active participant in local Conservative politics, and chairman of the board of trustees of the Nicholls Hospital. In 1882 he married his Sunday school sweetheart, Clara Ellsworth, daughter of a Methodist minister of loyalist background. As a merchant, he developed extensive knowledge of marketing the bounty of Ontario’s flourishing farm economy – especially butter, cheese, eggs, and meat – in Canada, the United States, and abroad. After a difficult first year on his own as a commission merchant, Flavelle entered a partnership, D. Gunn, Flavelle and Company, which united Flavelle’s produce business with Donald Gunn’s trade in pork products – carcasses, salt pork, and ham and bacon. The enterprise flourished, making Flavelle moderately wealthy. In 1892 he was invited by a local Baptist, William Davies*, to take over management of his extensive meat-packing concern. Davies’s own sons were dying of tuberculosis. Flavelle became managing director and significant shareholder in William Davies Company Limited, and immediately set out to improve the firm’s performance. By 1900 the Davies organization was disassembling about 500,000 hogs a year, five times its 1892 input, and boasting that it was the largest pork-packing house in the British empire. High sales volume generated remarkable returns on investment, including dividends on the firm’s capital that averaged more than 100 per cent per annum between 1897 and 1900. 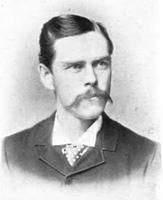 By this time Flavelle, who had been worth about $10,000 when he arrived in 1887, had become a millionaire; people started calling Toronto Hogtown. Flavelle became a director of the Canadian Bank of Commerce in 1896, vice-president of the new Imperial Life Assurance Company the following year, and founding president of the National Trust Company in 1898, as well as vice-president of the Robert Simpson Company. In 1899 he joined the boards of Canada Life Assurance and Central Canada Loan and Savings, and was a founding director of both the Carter-Crume Company, a maker of business forms, and the Canada Cycle and Motor Company. Most of these enterprises were managed or promoted by fellow churchman and former Peterborough associate Senator George A. Cox. 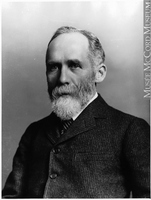 The Cox enterprises – by 1900 he was simultaneously president of the Bank of Commerce, Canada Life, and Central Canada – formed an interlocking family of firms supplying financial services and entrepreneurship as Toronto aspired to challenge Montreal for Canadian business supremacy. 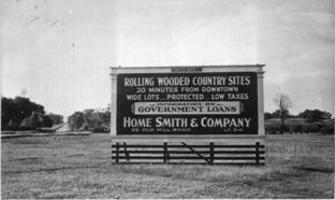 The group expanded to include stock-brokerage services – provided by Cox’s son-in-law Alfred Ernest Ames – and bond dealing through Dominion Securities, founded in 1901 and headed by Edward Rogers Wood*. Ames and another Sherbourne Street Church colleague, Harris Henry Fudger, were Flavelle’s partners in the 1898 purchase of the department store founded by Robert Simpson*, which competed directly with the more famous establishment owned by their fellow Methodist Timothy Eaton*. From time to time, notably in promoting Canada Cycle and Motor, the Cox group worked with members of another prominent Methodist family, the Masseys, including Walter Edward Hart Massey*. There was a common managerial style to the “Peterborough Methodist mafia,” which involved the creation of departments in large enterprises and a stress on cost accounting. The aim was to maintain and foster individual achievement even in big firms. Flavelle served as perennial superintendent of Sherbourne Street Church’s Sunday school and became, along with Cox, Ames, and Fudger, a generous donor to a wide variety of Methodist causes. In 1898 he was appointed to the board of regents of Victoria University [see Albert Carman*], and with his friends he helped it add buildings and programs and take a leading role in the affairs of the federated University of Toronto. In 1901 Flavelle anticipated the spirit of the Rhodes scholarships by creating a major travelling fellowship at the university, an indication of his interest in the broader institution. The next year he was elected to the board of trustees of the Toronto General Hospital at the urging of the Gooderhams, major benefactors of the city’s most important health-care institution. Although Holy Joe, as he was sometimes called, maintained the personal trappings of his plain Methodist upbringing – he did not smoke, drink, dance, or gamble – he believed deeply in the stewardship obligations of the wealthy and privileged, and intended to lead a life of visible, high-minded public service. In 1902 he purchased a newspaper, the Toronto Evening News, which he hoped would be a voice for civic, provincial, and national betterment under the editorship of John Stephen Willison*, formerly of the Globe. Continuing his lifelong support of the Conservative Party, Flavelle hoped to steer it, and its new national leader, Robert Laird Borden, in favour of progressive causes and away from the partisanship and corruption that seemed, to him and his associates, to curse Canadian politics. For some time at the beginning of the century, Flavelle was active in the burst of tramway, railway, electrical, and other corporate promotions fostered by the Cox companies and such associates as William Mackenzie*. Mackenzie, a former Canadian Pacific Railway contractor, had become an international utility magnate, the principal figure in firms ranging from the Canadian Northern Railway to the São Paulo Tramway, Light and Power Company and the Electrical Development Company of Ontario, which planned to harness Niagara Falls’ power as hydroelectricity for Toronto. Within a few years, however, Flavelle had second thoughts about becoming too involved in flotations and financial manoeuvres that appeared to him more geared to facilitating profits from insider trading than sound long-term management. He gradually distanced himself from Mackenzie, whom he considered a buccaneer, and even from Cox, whose sense of financial stewardship seemed clouded by a propensity for self-dealing and nepotism. 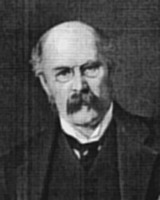 By 1906 Flavelle had limited his business activities to the affairs of the William Davies Company, the Bank of Commerce, Simpson’s, and National Trust. At the same time he increased his commitment to public service. “Joe is I suppose as busy as ever,” his mother would observe in 1906, “doing all the good he can.” As chairman of the board of the Toronto General Hospital from 1904, he launched a campaign to rebuild it as a world-class institution. 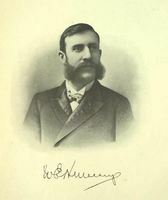 A supporter of the progressive Conservative government of James Pliny Whitney*, he turned down an invitation to run for the Ontario legislature, gave what proved to be abortive service as a crusading liquor-licence commissioner for a few months in 1905 [see John Irvine Davidson*], and in October of that year accepted a major responsibility as chairman of a provincial royal commission on the University of Toronto. The Flavelle commission, whose report in 1906 became the basis for the modernization of the institution, led to a new governing structure based on an appointed board of governors, which distanced the provincial university from direct interference by legislators. Higher levels of funding were provided, and a major building program facilitated Toronto’s evolution as a diverse, multi-faculty school offering enhanced professional and graduate programs. Under a new president, Robert Alexander Falconer*, the university entered a period of extensive growth. In 1906 Flavelle was appointed to the board of governors and he received an honorary lld in recognition of his service, though he would rarely use the title. 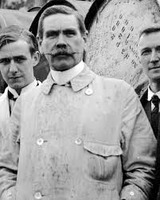 Flavelle’s leadership in rebuilding and reorganizing the TGH between 1904 and 1913 was more direct than in university matters, where he had often deferred to better-educated colleagues. He personally oversaw the decision to relocate the hospital close to the university, worked with architects Frank Darling and John Andrew Pearson on the design of the complex, lobbied for public funds and campaigned for private donations, and eventually undertook to cover the construction deficit, mostly from his own pocket. When the new TGH opened in 1913, the city had a modern hospital ready to play a leading role as a research and teaching institution closely tied to the medical faculty of the university. 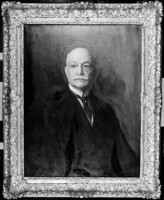 Flavelle continued to be chairman of the board until 1921 and a trustee for the rest of his life. In both his hospital and his university work, Flavelle stood for progressive reform, emphasizing reliance on businesslike, expert administrators and focusing on high standards of education and research. As an influential Methodist churchman, he sided with the spirit of free, educated inquiry. He gave support, for instance, to former Sherbourne Street minister George Jackson, whose liberal theological teachings at Victoria came under attack from prominent conservative churchmen in 1909-10 [see Nathanael Burwash*]. In his principal business, meat packing, Flavelle had continued to be an innovative manager. As the William Davies Company began facing intense competition in the lucrative British bacon trade, Flavelle, who became the firm’s principal shareholder in 1901, further improved his curing processes and refined his accounting systems, both of which were among the most advanced in the packing industry internationally. Backing out of a 1902 deal to merge the principal Ontario meat-packing firms – he disdained his potential partners and perhaps wanted more free time for public service – he concentrated on in-house excellence while seeking new opportunities. The several local butcher shops that William Davies had created as outlets for his by-products were expanded into a major network of retail stores in Ontario and Quebec, one of Canada’s first chains, and there was a brief attempt to spread into the United States. The Davies company was also a Canadian leader in industrial research and employee profit-sharing. Flavelle also considered expanding into the beef business. Rather than enter it directly, his firm took a controlling interest in the Toronto-based Harris Abattoir Company. Flavelle installed energetic managers there, notably James Stanley McLean*, a mathematics and physics graduate of the University of Toronto. He had an acute ability to spot executive talent. “Flavelle’s young men,” often university educated and often Methodists, came to occupy many of the highest rungs on the ladders of Canadian finance and, in some cases, politics. Flavelle’s plan to retire from active management at Davies was frustrated by the premature death in 1908 of his hand-picked successor, Frederick Smale, phd. Rising prices of hogs in Canada and vigorous competition from Danish packers in the British market began squeezing the Canadian business, which by 1910 had become only moderately profitable. Flavelle’s single most unprofitable venture, however, was his experiment in idealistic journalism. The News neither captured Canadians’ imagination nor succeeded in raising the tone of the country’s politics. After absorbing five years of heavy operating losses, Flavelle sold the paper in 1908. By this time he was becoming disillusioned by the wave of criticism of private enterprise sweeping across Canada and the United States, some of which he had encouraged in his role as a volubly ethical, progressive businessman and newspaper proprietor. He found himself having to challenge farmers’ complaints about his own packing industry, particularly the notion that a packers’ trust or combine suppressed hog prices. 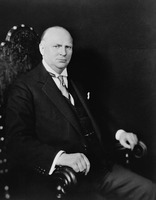 He began to distrust government interference with the marketplace, such as Ontario Hydro’s ruthless assault on competing private power companies [see Sir Adam Beck*], and he questioned the efficacy of regulatory and welfare schemes ranging from anti-combines laws to industry-wide workers’ compensation. On the other hand, Flavelle had supported Canada’s National Policy of protective tariffs from the days of Prime Minister Sir John A. Macdonald*. When the Liberal government of Sir Wilfrid Laurier* negotiated a reciprocity agreement with the United States in 1910, Flavelle became one of its earliest and most vigorous opponents. Many members of the “Toronto Eighteen,” Liberals headed by Sir Byron Edmund Walker* who broke with their party over reciprocity in February 1911, were close associates of Flavelle. 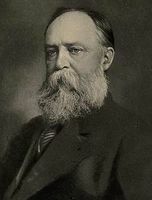 The most notable was his general manager at National Trust, William Thomas White*, who after the general election in September became finance minister in R. L. Borden’s Conservative government. In Ontario, one of the key issues of the campaign was Liberal complaints about the packing industry and high food prices. Flavelle’s opposition to reciprocity stemmed not only from self-interest but also from his deep commitment to Canada as a British country. 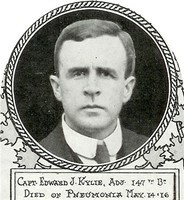 As hog butcher to the empire, and a frequent visitor to England, he supported schemes for greater imperial unity, such as the Round Table movement [see Edward Joseph Kylie*], and developed numerous contacts in imperialist circles. Significantly, his belief that Canada’s future would involve great economic and industrial growth seems to have caused him to refrain from advocating any system of imperial preferential tariffs, despite the aid they could have given to Canadian bacon in competition with the Danish product. The onset of European war in 1914 soon revived the Canadian bacon trade, as Danish competitors left the British market, and demand soared. Instead of slipping into hoped-for retirement, at age 57 Flavelle assumed far more industrial responsibility in November 1915 when the British government made him chair of the Imperial Munitions Board, a new agency of the British Ministry of Munitions with responsibility for all contracts let in Canada. The IMB replaced the Shell Committee, an informal panel of Canadian manufacturers set up in 1914 by the Borden government’s minister of militia and defence, Samuel Hughes*, to solicit British business. The committee’s work had been severely criticized for poor contractor performance, conflicts of interest, disorganization, and possible corruption. Flavelle was given complete executive authority as chairman of the IMB – the board’s other members were ciphers – and effectively became the czar of the Canadian munitions industry during the war. On his appointment, he moved temporarily to Ottawa. 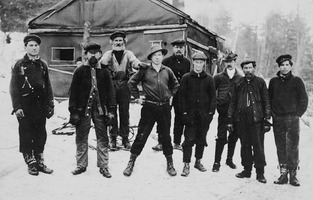 The IMB served as the umbrella agency that organized and supervised the greatest industrial effort Canada had ever seen. It straightened out the mess left by the Shell Committee, administered new orders, and sought still more business. By 1917 more than 600 Canadian factories, employing more than 250,000 workers, were producing almost 100,000 shells a day. Canada that year supplied between a quarter and a third of all the ammunition used by the British artillery in France and more than half the shrapnel. The demand evolved from orders for steel shells to contracts for other components, complete rounds of ammunition, and eventually the supply of airplanes and ships. By the war’s end, the IMB and its predecessor had spent $1.25 billion producing 65 million shells, 49 million cartridge cases, 30 million fuses, 35 million primers, 112 million pounds of explosives, 2,900 airplanes, 88 ships, and other assorted supplies. Flavelle administered the IMB much as he ran his private companies. 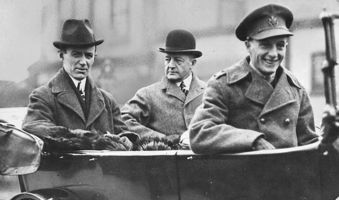 Working without pay, he relied heavily on the volunteer services of first-rate executives (the Great War’s anticipation of the “dollar-a-year men” in the next world war), developed rigorous inspection and accounting systems, and tried hard to frustrate Canadian politicians’ belief that they should have a voice in apportioning contracts. Though the IMB bowed to political imperatives in deliberately spreading orders across the country, Flavelle cleaned up a serious scandal that Sam Hughes’s cronyism had created with fuse contracts let in the United States, and then ran a tight, prompt, honest operation that the Ministry of Munitions found entirely satisfactory. Although Flavelle depended greatly on normal market incentives and competition in the awarding of contracts, certain production needs and bottlenecks led the IMB into the innovative experiment of creating seven of its own “national factories” (modelled on British practice) to load fuses, make airplanes, and produce explosives. Some worked well [see Sir Charles Blair Gordon; Sir Frank Wilton Baillie*]; others were dismal failures. As labour markets began to tighten in 1916, the IMB, under the direction of one of Flavelle’s protégés, Ontario mla Mark Howard Irish, formed a labour department to advise manufacturers on ways of attracting new classes of munitions workers, notably women. Flavelle otherwise tried to avoid becoming involved with his contractors’ labour relations, but occasionally he had to exert pressure to reconcile industrial disputes. He initially resisted calls from the Trades and Labor Congress of Canada to insert fair-wage (often union-wage) clauses in all IMB contracts, and, when he eventually conceded the principle in 1917, it was found that munitions workers, who were doing very well in a period of full employment, had lost interest in the matter. The greater problem for the IMB was to find the money to keep its factories going. By 1916 Britain had run desperately short of foreign exchange to pay for purchases abroad. 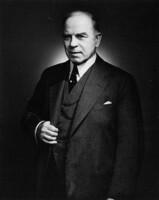 Working closely with finance minister Sir William Thomas White, Flavelle was instrumental in negotiating a series of Canadian loans to Britain to cover its munitions purchases in Canada. When British cutbacks in orders for 1918 seemed to imperil the now-flourishing Canadian industry, the IMB began soliciting business from the United States, eventually working out an arrangement with the American Ordnance Department to allow Canadian manufacturers to tender for contracts on an only slightly discriminatory basis. Had the war continued into 1919, the efficient Canadian industry would have received large American orders. Flavelle’s wholehearted patriotism, his reputation, and his position as head of the IMB gave him considerable prominence on the national stage. After a visit to England and the front in late 1916, he achieved national attention for two speeches. In an emotional talk in Toronto on 12 December to munitions manufacturers grumbling about their margins, he urged them to “send profits to the hell where they belong.” In a more considered public address a few days later in Ottawa, he seemed to call for the formation of a coalition government, along British lines. Having turned down a knighthood in 1913 for his hospital work, in June 1917 Flavelle accepted a baronetcy from George V. Not surprisingly, there was talk of him becoming a minister if some kind of national coalition government was established in Canada. Just such a government would be formed in October, under Borden, but by then Flavelle was mired in controversy. In July the report of a federal investigation of cold-storage conditions, headed by William Francis O’Connor, generated sensational newspaper headlines about “Huge Margins” of profit in the bacon business and the “Millions” made by the William Davies Company. In a season of war weariness and considerable inflation, Flavelle was instantly reviled as a greedy profiteer, his lardship, a baconet, baconeer, robber baronet, several varieties of hog and hypocrite, Old Black Joe, and more. The Borden government was forced to commission a special inquiry into the packing industry. It held public hearings – Flavelle testified in October that he had no qualms of conscience and nothing to conceal – and in late November it issued a report that corrected the numerous confusions and economic illiteracies of the cold-storage investigation and exonerated the company of all charges of unethical business practice. The William Davies Company had done a very high volume of war business, shipping sides of bacon and canned, cooked meat to the British government. Relatively slight profit margins on high sales had led to high profits, a return on capital that reached 80 per cent in 1916. Flavelle’s wartime dividend income to March 1917 was about $400,000. At a time when Canadian soldiers were being paid $1.10 a day, this income seemed excessive. No matter that it had resulted from business excellence; it was still, as the Toronto Daily Mail and Empire put it, a “little rake-off on every rasher.” Flavelle himself was too proud to disclose his wartime philanthropic givings, which almost certainly far exceeded his earnings. Completely unfounded stories – what might be called trench-born legends – also circulated, and persisted for generations, to the effect that the Davies company had sold spoiled meat to the troops. Ottawa put strict limits on meat packers’ profits for the remainder of the war. Flavelle was deeply upset at having been publicly crucified in the bacon scandal. 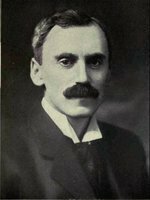 Neither the British nor the Canadian government wanted him to resign his position on the IMB, though in the Canadian election of December 1917 Borden’s Union government found him a serious liability as “Flavelle, pork, and profits” became a major side issue next to conscription. A few months later parliament endorsed an order in council effectively barring Canadians from receiving hereditary titles. Flavelle’s post-war reputation as a master of business and public service quickly overpowered the lingering whiffs from the bacon scandal. After overseeing the liquidation of all IMB activities, he returned to Toronto in 1919 and gradually resumed most of his public and private responsibilities. He retired from the meat-packing industry, selling his William Davies shares in 1919 to a Davies grandson, Edward Carey Fox, and using the proceeds to acquire a controlling interest in Simpson’s, which over the years had been steadily profitable. In 1921 he came under heavy pressure from Prime Minister Arthur Meighen* to become chief executive officer of the new, government-owned Canadian National Railways system. Flavelle had never run a railway, but since the early 1900s he had been deeply involved in railway strategizing, as an investor, banker, and interested citizen. During the war he had devoted much time to the problems of Canada’s bankrupt transcontinental lines, especially Sir William Mackenzie’s and Sir Donald Mann’s Canadian Northern, which had threatened to drag the Bank of Commerce down with it. Flavelle had often supported the public purchase and operation of trunk railways, including the Canadian Northern, and so he seemed a logical candidate to head the sprawling system being created out of the ruins of many ventures. Citing family obligations, and perhaps doubting that anyone could make the new system work, Flavelle turned Meighen down. He did agree to become chairman of the board, in May 1921, of the historic Grand Trunk Railway system, which had been taken over by the government and would soon be integrated into the CNR. Flavelle’s short service at the Grand Trunk – it ended in August 1922 – illustrated the politics and perils of public ownership. His efforts to remove the dead wood at the Grand Trunk, for instance, ran into staunch interference. The one constant theme of his approach to railways was the belief that the only policy worse than government ownership was turning everything over to the Canadian Pacific to create the de facto monopoly that the Montreal-based firm frequently advocated. 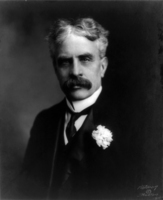 “The reliance placed upon what Government can accomplish is pathetic,” Flavelle warned in December 1922 at a dinner welcoming Sir Henry Worth Thornton, who took the CNR position (and came bitterly to regret it). By the 1920s Flavelle had lost virtually all his faith in the capacity of governments. Almost all political interference with the marketplace, including such social-welfare schemes as unemployment insurance and minimum wages, seemed to him to create distortions and unintended consequences that did more harm than good. The greatest damage was to undermine personal initiative and responsibility, and to subvert individuals’ sense of duty to provide for themselves and their families, their churches, and their other volunteer communities. Flavelle was now a free-market liberal in economics and a conservative individualist in social policy. He expressed these views in occasional public addresses, many long and influential letters, and off-the-record interviews with journalists. He was widely respected as an elder and unusually articulate voice of Canadian business and conservatism. He liked to advise young businessmen to work hard, eschew material pleasures, and consider profit a by-product of doing business well. 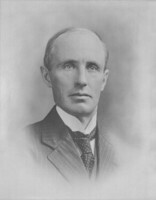 In 1924 Flavelle became the first holder of the new position of board chairman at the Bank of Commerce, with Sir John Aird as president and general manager. After riding through tempestuous conditions in the early years of the decade, the Commerce, Simpson’s, and National Trust all flourished in the good times of the late 1920s. Flavelle’s old William Davies Company did not. E. C. Fox could not hold his British market share, was outmanoeuvred in Canada by J. S. McLean of Harris Abattoir, and left the industry in 1927 when McLean headed the merger that brought Davies, Harris, and other firms together as Canada Packers. 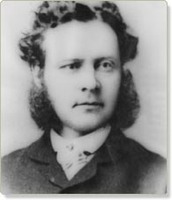 McLean, who enjoyed Flavelle’s confidence and respect, became his true successor as the master strategist of Canadian meat packing in an era when it was still a principal industry. 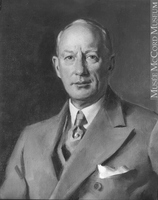 In 1927, at the request of British friends from IMB days, Flavelle took on minor responsibilities as board chairman of the Canadian Marconi Company Limited. It was a struggling firm on the frontiers of wireless telegraphy and radio, whose stock became wildly overvalued in the market boom of the late 1920s, much to Flavelle’s displeasure. He did not significantly invest in it. Shrewdly reading the markets, in June 1929 he took a handsome profit when he sold his Simpson’s holdings to Wood, Gundy and Company and a group of Simpson’s executives led by Charles Luther Burton*. Flavelle was neither surprised, nor, it seems, greatly inconvenienced financially by the stock-market collapse later that year and the onset of hard times. In good times and bad, Flavelle continued to be a staunch supporter of the Methodist Church of Canada, which had lost its formal identity when it merged with Presbyterian and Congregational denominations to create the United Church of Canada in 1925 [see Clarence Dunlop Mackinnon; Ephraim Scott]. Although he had always backed the union movement, he did not believe churches should mimic businesses or be overly organized. He thought the traditional spirit of Methodism was sadly diluted in the United Church, and noted that it failed to live up to its founders’ hopes. As a lifelong supporter of Christian missions, he represented his church on the board of the West China Union University in Chengdu, Sichuan, and served as its chairman from 1923 to 1935. His was mainly a fund-raising function. Flavelle never visited China, but occasionally he wondered if the missionaries, whose standard of living was far higher than that of most Chinese, were retaining their old-time dedication. Flavelle’s principal role in church affairs was to provide financial support, which he did to a remarkable degree at all levels by giving money to funds for the poor, church building and restoration, bibles, pensions, distressed ministers, missionary work, and every other worthy cause. He also contributed to a wide range of secular charities, from choirs to community gardens and united appeals, children’s homes to drama festivals, with especially large donations to causes at the Toronto General Hospital and the University of Toronto. As a minister friend put it, Flavelle kept “open house for beggars,” responding to pleas from friends to aid the good causes that interested them and to appeals from destitute strangers. During the Great Depression he gave important financial assistance to many needy businessmen and to down-and-outers who came to pick up food at the tradesmen’s entrance to Holwood. The Reverend Donald Bruce Macdonald, principal of St Andrew’s College, a Toronto boys’ school, persuaded Flavelle to become its board chairman in 1924 and subscribe liberally to the costs of moving its campus to Aurora. Flavelle’s largest philanthropic donations appear to have been made to St Andrew’s in the 1920s, and again in the 1930s when he almost certainly saved it from bankruptcy. He hoped it would become a great national institution, helping the children of the rich overcome the handicap of affluence. Flavelle House at St Andrew’s was named after him, against his wishes. He did not court recognition of his givings, the exact extent of which will never be known, but they were a high proportion of his annual income, perhaps upwards of 50 per cent. His fragmentary papers suggest total donations of well over a million dollars in each of the interwar decades. His contributions to political parties were regular and probably substantial – as perhaps was his fund-raising during election campaigns – but no records survive. He claimed to have always followed his mother’s advice to support his political party “because if good men do not support it, bad men will.” He remained a loyal but often critical Conservative through the national party’s difficult times in the 1920s, finding a more kindred spirit than Arthur Meighen or Richard Bedford Bennett* in Ontario’s Conservative premier, George Howard Ferguson*. 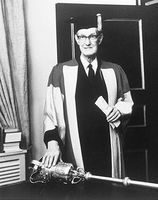 In 1928 Ferguson appointed him founding chairman of the Ontario Research Foundation, a public-private venture dedicated to advancing industrial research. In 1931-32 he agreed to one more stint of national service as a member of the royal commission on railways and transportation, appointed by the Bennett government to find answers to the desperate problems of the faltering transcontinentals. Its recommendations were ineffectual. 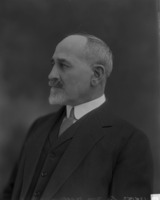 In 1934 Flavelle was vilified again, this time by Bennett’s minister of trade and commerce, Henry Herbert Stevens*, who had launched a crusade against the buying practices of the department stores. Stevens’s completely unfounded attacks on Flavelle’s refinancings at Simpson’s led directly to his leaving the cabinet to found the Reconstruction Party and were a particularly ignorant start to his brief career of mid-depression demagoguery. As he coasted into semi-retirement, Flavelle had more time to pursue his lifelong love of golf and fishing. In 1907 he had built a summer mansion, Swannanoa, at Sturgeon Point in Ontario’s Kawartha region, where his family had deep roots that gradually generated a large cottage colony. Flavelle enjoyed sightseeing on his numerous trips to Britain and the Continent, and he liked listening to religious music and reading about and discussing current affairs. He was a sometime gentleman farmer at Ashburnham, a farm he had bought near Oakville in 1916. A soft-spoken, bearded, plainly dressed man all his life, he usually but not invariably was able to camouflage heartfelt emotion, a sharp temper, and personal insecurity. His marriage was uncomplicated – Clara presided gracefully over innumerable church and social functions at Holwood, but was often incapacitated by chronic health problems. Lady Flavelle died on 8 Feb. 1932, just short of their 50th wedding anniversary. Over the years, Sir Joseph became deeply disappointed that their only son, Joseph Ellsworth, showed no aptitude for business. One daughter, Clara Ellsworth, Flavelle’s favourite, did have a business mind and many of her father’s abilities, but she had been encouraged to expend her energies domestically and in ladies’ charities. In January 1939 Flavelle was diagnosed with cancer of the bowel. In March he died of heart failure while travelling in the United States. The funeral service was at Holwood, with interment in Toronto’s Mount Pleasant Cemetery. His formal estate totalled $6.06 million, and included bequests to many of his favourite charities, his children, and the creation of a small philanthropic foundation. Holwood was given to the University of Toronto, which renamed it Flavelle House. The baronetcy passed through Sir Ellsworth Flavelle and was extinguished on the death of his son Sir Joseph David Flavelle in 1985. In the qualities that led to his remarkable success in business, and in life, Joseph Wesley Flavelle personified as well as anyone the classic spirit of capitalism. He practised and then he advocated an ethic of hard work, sobriety, and deferred gratification. This code was a powerful instrument of upward mobility, making possible a classic rags-to-riches saga lived by a man with the intelligence to see and exploit opportunities in the formative years of post-confederation Canada. In his interpretation of accounting and accountability, Flavelle perfectly translated Protestant religious concepts into effective business practice. Similarly, his church-born sense of stewardship underlay a lifetime of public service and philanthropy. At the same time, however, he was unfortunate to become entangled in some of the typical contradictions of capitalism, including the backlash of envy and resentment caused by his success and the social inequality it exemplified. The Sir Joseph [W.] Flavelle fonds at QUA is a large and rich collection, including much family and personal material. Flavelle’s extensive correspondence as chairman of the Imperial Munitions Board and of the Grand Trunk Railway is contained in the Joseph Wesley Flavelle fonds at LAC, R1449-0-5. Important primary material on the history of the William Davies Company is found in the McLean family papers at AO, F 277, MU 1127. These collections, supplemented by a wide range of other archival sources, including Peterborough newspapers and corporate and church minutes, are the basis for the author’s study A Canadian millionaire: the life and business times of Sir Joseph Flavelle, bart., 1858-1939 (Toronto, 1978). This article is drawn from that book, which contains detailed documentation. No other significant biographical work on Flavelle has been published. New scholarly work on his circle and the organizations with which he was involved has tended to reflect rather than revise the account of Flavelle’s activities and influence in Canadian millionaire. The history of the Methodist Church is surveyed in Neil Semple, The Lord’s dominion: the history of Canadian Methodism (Montreal and Kingston, Ont., 1996); the Toronto General Hospital is presented in J. T. H. Connor, Doing good: the life of Toronto’s General Hospital (Toronto, 2000); and the University of Toronto receives authoritative treatment in M. L. Friedland, The University of Toronto: a history (Toronto, 2002). The best published guides to the early history of pork packing in Canada are William Davies, Letters of William Davies, Toronto, 1854-1861, edited with an introduction by William Sherwood Fox (Toronto, 1945), and the biography of Davies in DCB, vol.15. George A. Cox and his circle are discussed in the article on Cox in DCB, vol.14, and in the sources noted there. A significant literature now exists on the pre-war business climate and enterprises in which Flavelle was involved. It includes Christopher Armstrong and H. V. Nelles, Monopoly’s moment: the organization and regulation of Canadian utilities, 1830-1930 (Philadelphia, 1986); Southern exposure: Canadian promoters in Latin America and the Caribbean, 1896-1930 (Toronto, 1988); Duncan McDowall, The Light: Brazilian Traction, Light and Power Company Limited, 1899-1945 (Toronto, 1988); R. B. Fleming, The railway king of Canada: Sir William Mackenzie, 1849-1923 (Vancouver, 1991); T. D. Regehr, The Canadian Northern Railway, pioneer road of the northern prairies, 1895-1918 (Toronto, 1976); G. P. Marchildon, Profits and politics: Beaverbrook and the Gilded Age of Canadian finance (Toronto, 1996); and Michael Bliss, Northern enterprise: five centuries of Canadian business (Toronto, 1987). The history of the Shell Committee and the Imperial Munitions Board was first sketched in David Carnegie, The history of munitions supply in Canada, 1914-1918 (London, 1925). A more recent examination is Michael Bliss, “War business as usual: Canadian munitions production, 1914-18,” in Mobilization for total war: the Canadian, American and British experience, 1914-1918, 1939-1945, ed. N. F. Dreisziger (Waterloo, Ont., 1981), 43-55. The best guide to Conservative politics and the Borden government remains R. C. Brown, Robert Laird Borden, a biography (2v., Toronto, 1975-80). Michael Bliss, “FLAVELLE, Sir JOSEPH WESLEY,” in Dictionary of Canadian Biography, vol. 16, University of Toronto/Université Laval, 2003–, accessed April 25, 2019, http://www.biographi.ca/en/bio/flavelle_joseph_wesley_16E.html.